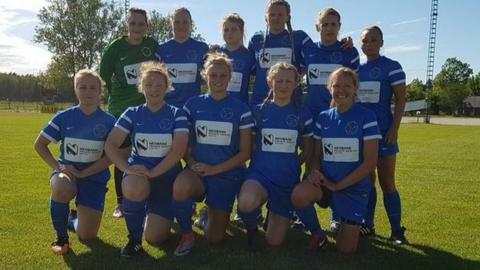 The Isle of Man men's and women's football teams have both reached their respective finals at the Island Games. The men's team beat Guernsey 4-3 after a dramatic injury-time winner in Fardhem while the women's side beat the Isle of Wight 4-2 at Stenkyrka. The men will now play Greenland who knocked out Menorca on penalties while the women's side will play hosts Gotland after they defeated Jersey 2-1. The Isle of Man topped the medal table after four days of competition. The Manx men will play Menorca in the final after defeating Guernsey 4-3.